Parsons: Says it has the "best corporate logo," which "makes me want to invest money there." He gives it a "B-", 65/100. Michael5000: It's a very good corporate logo! 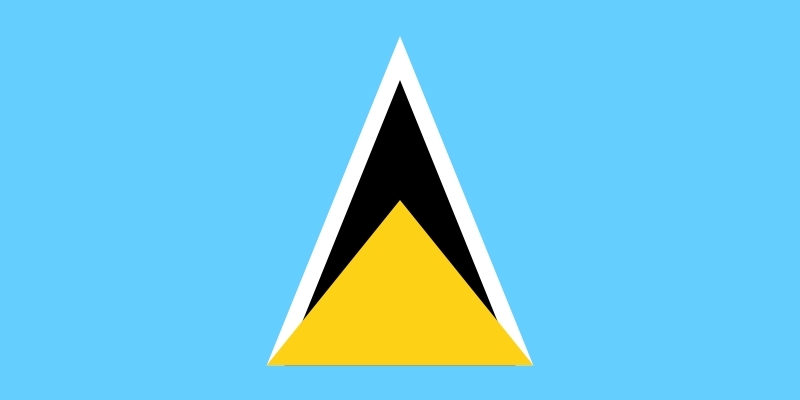 Apparently the nested triangles are supposed to represent the two distinct triangular peaks on the southwest coast of the island. Who knew? Personally, I think it was a step in the wrong direction. The dark blue really sets those striplets off. Parsons: Thinks it's "original," and feels it is a "good effort for a country whose name sounds like a 50s rock'n'roll group." He gives it a "B-", 65/100. Michael5000: I like it. 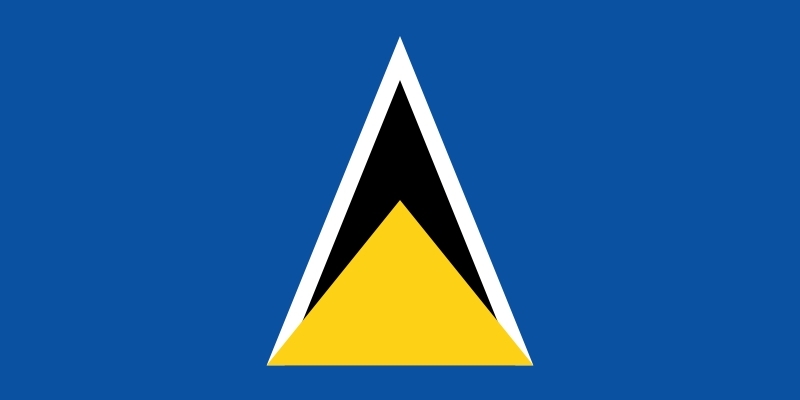 It's original, using very basic shapes to create a proper flag that is immediately recognizable. In fact, the flag is easier to recognize than the country is. If I had to list all the countries in the world, Saint Vincent and the Grenadines (population 120,000, or roughly equivalent to the Morgantown, West Virginia metro area) is probably the last one I'd come up with. Say, didn't they do well to change up from the original 1979 - 1985 design? Parsons: Without comment, it gets a "C+", 60/100. Michael5000: This is nice. 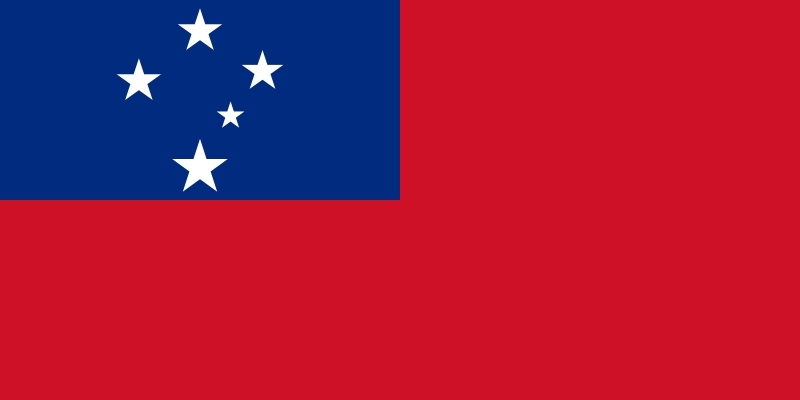 We've got the Southern Cross motif we've seen on the much busier flags of Australia and Samoa's former colonial overseer, New Zealand, but here it's nicely under control on an otherwise highly simple design. 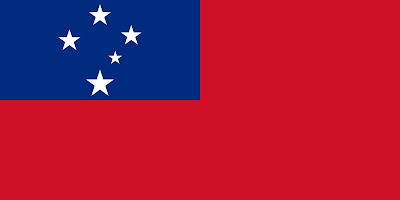 My only objection, really, is that the white-business in a blue whatsit (I should try to remember the technical flag terms someday) on a red background is stepping pretty darn close to the flag of Taiwan and the former and likely future flag of Burma. Parsons: Citing its "Good Colours," he gives it a "B", 70/100. Michael5000: Ack! Busy! Busy busy busy!!! My eyes! My aesthetic values! I bet Parsons was looking at the... ah, yes, it would seem that there's a civil flag. Let's look at that. Well, all fine and good -- kind of like the Poland/Indonesia bicolor, except with a much cooler tone. 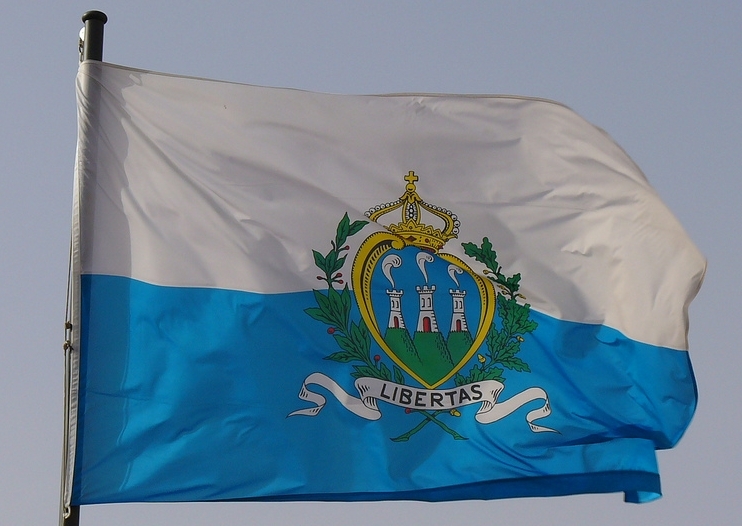 However, I'm afraid that the evidence here on the internet suggests that San Marino goes with the state flag more than the civil flag. And even though being San Marino is inherently all about being kind of old school and anachronistic, I just can't give my approval to quite so baroque a flag design. 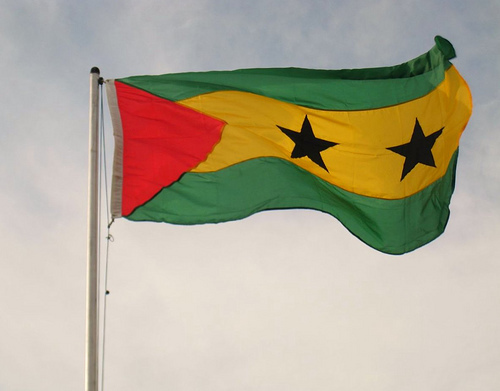 Parsons: "Black Stars too adolescent," remarks Parsons cryptically, assigning a "B-," 65/100. 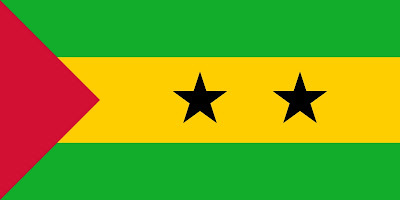 Michael5000: Apparently the black stars represent the two islands. I wish I could see an actual flag of ST&P instead of a flag diagram, because the tennis-ball green looks kind of improbable. I'd like to check it out against a sky, but on the entire interwebs I can't find a single picture. but the country is still on my list of places to visit. If you scroll about 3/4 of the way down the page here, you can see the color of the Sao Tome and Principe flag pretty well; or if you go to slide #12 on the slideshow here, you can see (most of) the flag flying. Calico: But... 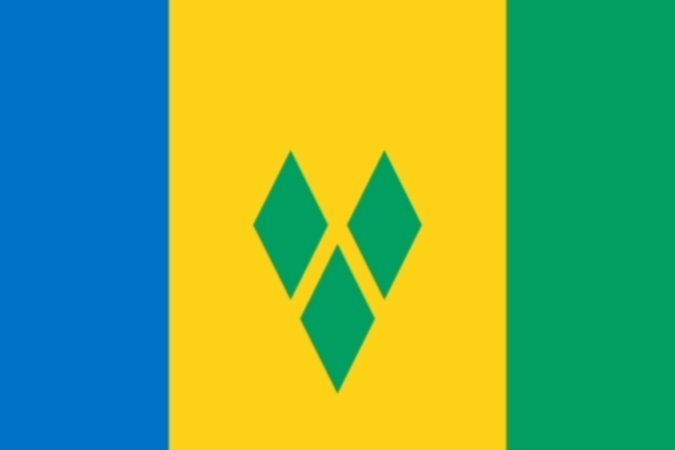 I said NICE things about the Flag of Morg... urm, Saint Vincent etc. That's a .jpg at the end of that URL, by the way. It's not displaying the entire path for some reason. I will remember this when I'm able to buy well-paid research assistants. You've got a new flag to add to the mix: http://www.bbc.co.uk/news/world-africa-14089843! Yes indeed. Interesting times down there. 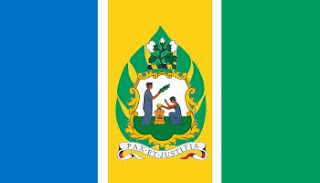 I knew I could count on this blog for information on the South Sudan flag. And my two cents on the internet code: go ahead ISO and give them the .ss code that they want. It makes sense and don't give a 60+ years defunct regime the power to own a letter combination for all eternity. My favourite bit is that everyone at the UN after them has to move over one seat. 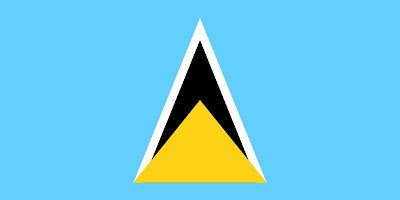 St. Lucia is obviously where Starfleet Headquarters was located before they moved it to California. Will be.